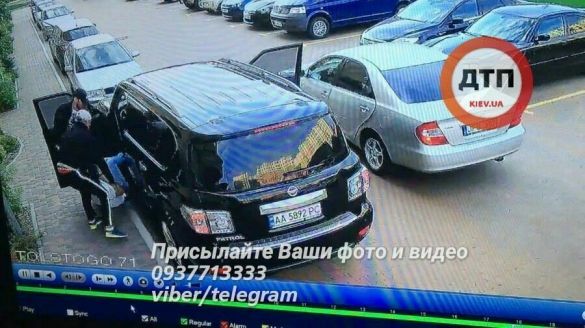 On Sunday, September 11, a family couple was forcibly pulled out of their car and pushed into another vehicle by several man, CCTV footage showed, according to dtp.kiev.ua. The incident occurred in the Kyiv's Sofiivska Borshchahivka district at about 16:30, dtp.kiev.ua reports. It is reported that the attack preceded by a two-day surveillance routine. The video also captured the license plates of the kidnappers' silver Toyota Camry – JFG 397 (Latvian registration).